I was meeting my foodie friend Alice after work and for a change hadn’t planned on partaking in eating much dinner, as I was still quite full from a morning’s jaunt to Harrogate. With a meeting at coffee maestros Bean & Bud and a couple of stops at wonderful cafe Balterzens, it was hard not to have a Cinnamon Bun, Amaretti biscuit and Gravlax sandwich with 1 espresso, 1 piccolo, 1 flat white and my first Chemex brewed coffee before 1:30pm! Alice has a penchant for craft ales so we popped into Tapped on Boar Lane. It’s been open a while and we’ve popped in for the odd hour there, but nothing major. Whenever we’ve been it’s always seemed fairly busy with a good atmosphere though, quite civilised too. 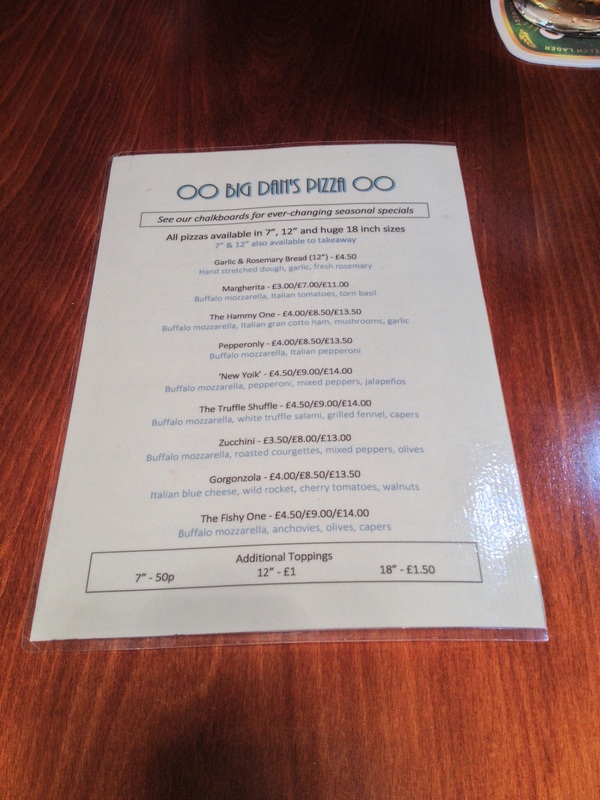 Having arrived a minute earlier than my friend I stepped up to the bar, looking down it I saw a blackboard with the ominous words BOGOF on all 7″ pizzas!!! Having pointed it out to Alice on her arrival, it was soon very obvious I was going to order pizza, best plans and all that! I am so predictable! A couple of drinks were chosen, mine a Belgian fruit beer and Alice chose a Cucumber infused IPA. With eight pizzas to choose from and the ability to mix and match we decided to go for The Truffle Shuffle and The Hammy One wanting a bit of meat, without going over board. All the pizzas are made from scratch by hand, and they say they use only the best imported Italian ingredients, using buffalo mozzarella, fresh basil and extra virgin olive oil. 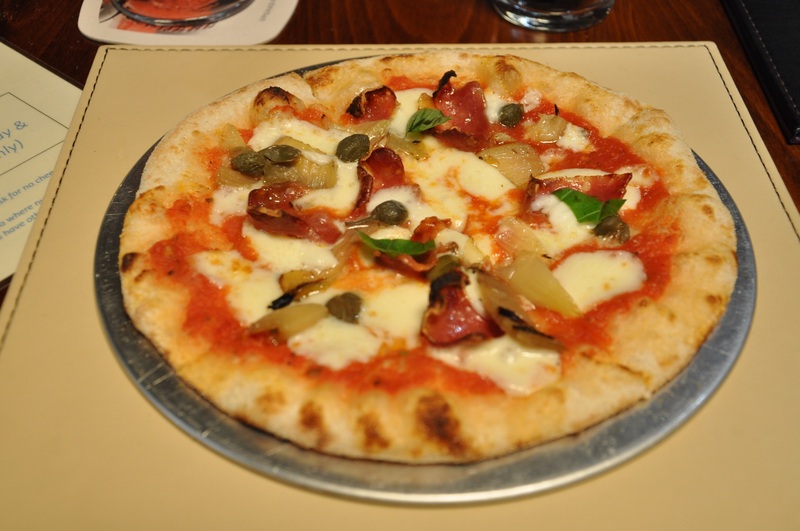 The pizzas are served in 3 different sizes of 7″, 12″ and 18″. The pizza oven is at the end of the bar and we could see the pizzas being made, I must say that even though pizzas were being brought out, it did take at least 15 minutes for us to get ours. I can only assume at that price the offer would be popular. 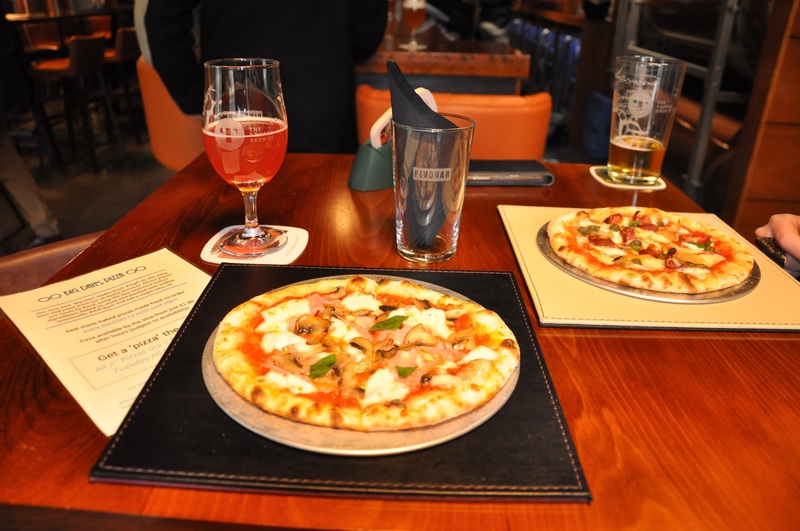 I tried The Hammy One first, they advertise the fact that they use beer brewed on site to make the pizza dough, but I couldn’t tell there was any. The base was nice and thin, but on both pizzas was a little soggy at the centre. I preferred the toppings on The Truffle Shuffle which had a lot more punch than The Hammy One. The truffle salami was very tasty and the fennel was a great combo, salty capers made it very tasty. 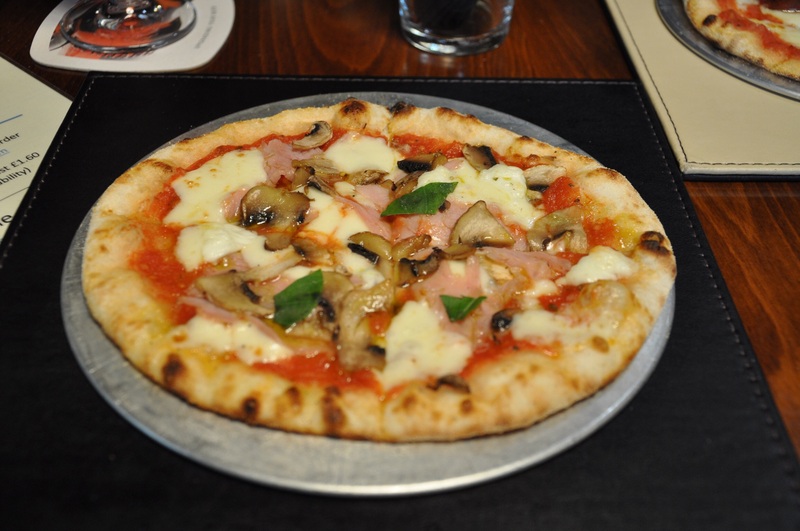 The Hammy One was ok, it may have been better to use a different variety of mushroom, rather than the standard button variety, something that would pack more woody, meatiness into the pizza. I have a bit of an issue when the mozzarella cheese is melted but when it can be picked off in dollops I find it a little odd. For two mini 7-inch pizzas it cost £4.50, if you wanted to spend less you could go for either a Margherita or a Zucchini at just £3 or 3.50. Recently I’ve had fab pizza at White Cloth Gallery, Dough Boys at The Belgrave, Ecco Pizzeria in Headingley and previously in Sela Bar, so would be more likely to point people in the direction of these establishments more than Tapped. But for a few quid I can’t grumble! 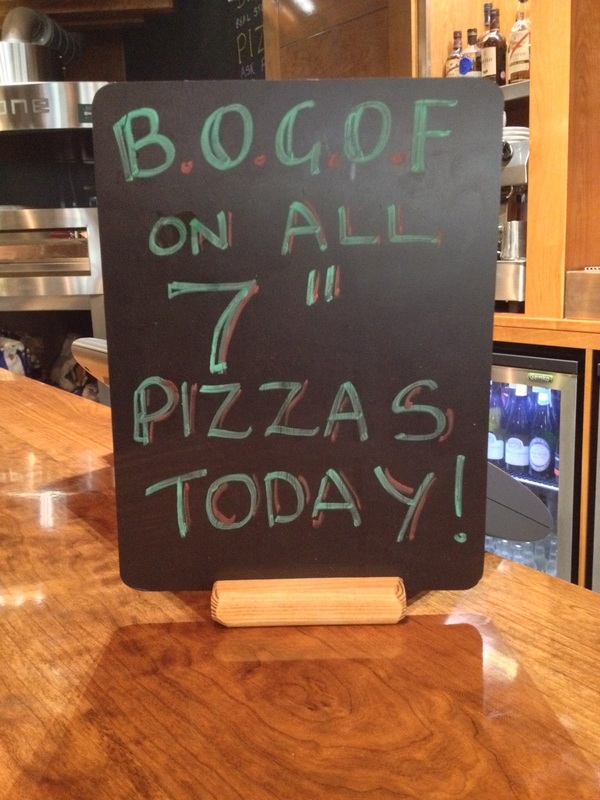 I feel that next time I’d only be eating pizza at Tapped when the BOGOF deal is on. BOGOF is available on Monday and Tuesdays. Where’s the best pizza you’ve had in Leeds and why?